Natural gas extraction is a necessary process that energy generation companies use to capture raw resources that they can turn into energy to heat our businesses and homes. 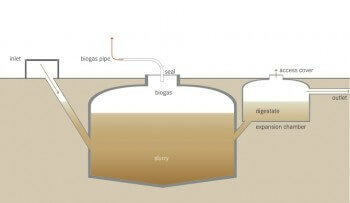 Biogas: This type of gas comes from decomposed organic matter such as food waste, dead animals and excrement. Natural gas is extracted from these materials using a combustion process called anaerobic digestion. This controversial Natural Gas extraction method is effective, but can cause potentially devastating side effects such as water contamination and earthquakes. 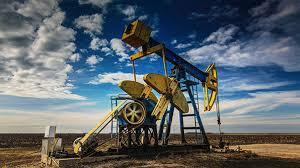 Hydraulic fracturing consists of drilling wells into the earth’s crust to access pockets of Natural gas. Water, sand and chemicals are then injected into the well to create pressure and force the gas to the surface where it is captured and transformed into the energy that we use in our businesses and homes. The UK creates over 20 million tonnes of food waste each year in the food services sector alone. Anaerobic digestion gives this waste and other decomposing organic materials a purpose as it is a process in which this waste is turned into useable biogas. Biogas consists of the following: 60% Methane, 40% CO2 and traces of Hydrogen and Hydrogen Sulphide. Collect the gas. Then the remaining materials can become fertiliser so waste is minimal. What happens before natural gas extraction can be carried out? Is natural gas extraction economically viable? Conventional gas is more easily accessible, therefore more economically viable. However, when debating whether to drill an unconventional gas site, it is worth reviewing how much it will cost to access the raw materials before works begin vs the potential yield of the site. This way, gas extraction companies can be more confident that their investment will turn into a profitable venture. Can natural gas drilling permits be secured? To gain access to the natural gas extraction site, planning permission must be given. Permission approval can depend on local opinions, what is in the surrounding area, the potential environmental impact, who owns the land etc. It can be difficult and expensive to gain approval due to all of the above, with some permits taking years to be fully processed. This means that these factors contribute to assessing the economic viability of a new drilling site. Although the cost of gas can be influenced by a number of factors that are beyond our control. Reduce the cost of your business gas by completing an energy supplier comparison. View rates from a range of UK providers and receive expert advice that could reduce your energy spend considerably. 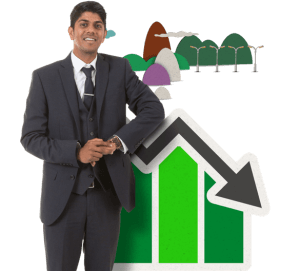 At Exchange Utility, we invest heavily in training our staff to guide you through the switching process and recommend fantastic options for reducing costs for your business – All you need is a copy of a recent business energy bill! Contact a member of our friendly team on 0800 9777 000 or complete the online enquiry form below.